Nick Scrivener, a professional rugby coach at the elite level for 20+ years has signed on to coach the Tuggeranong Vikings rugby club as Coaching Director and 1st Grade Head Coach for the next two years. 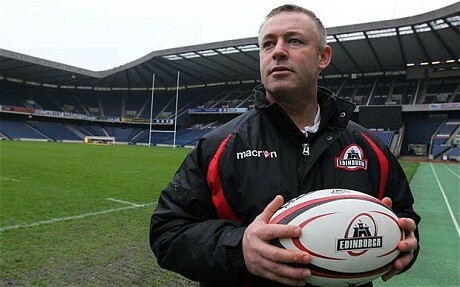 Scrivener will replace soon to depart coach Tim Sampson who has signed on to lead the Western Force revival in Perth. Scrivener attended Marist College and played all his rugby in Canberra. During his coaching career he has worked at the elite level with the Wallabies as an assistant to Robbie Deans and Coaching Co-ordinator with Ewen McKenzie. Previously he worked with Eddie Jones, David Nucifora and Laurie Fisher at the Brumbies in over 100 games coaching at Super Rugby level. During that time Scrivener also had stints as Assistant and Head Coach of the Canberra Vikings, Brumby Runners, Australian U21 and Australia A. In recent years Scrivener has headed up the Rugby Australia National Academy and had 3 year stints in both Scotland (with Edinburgh and Scotland A) and most recently in the Japan Top League with Toyota Verblitz, working with Jake White. “One door closes and another opens. The whole club has been a little flat with the pending departure of Tim (Sampson) but are now thrilled and buzzing to have Nick Scrivener come on board for the next two seasons (2018 – 2019). Scriv is a proud Vikings man so it’s an extra bonus to bring in one of our own, who is a favourite son. Everyone is aware of his reputation and success at the highest levels so to secure him as our club coach for the next two seasons is a major coup” Allardyce said. “I recently returned from coaching overseas and my plan was to take a bit of a sabbatical and I didn’t really expect to be pursuing a full time role this season. However things move swiftly in coaching and to come back to Canberra rugby and to my home club and contribute was a great opportunity. I’m looking forward to building on what’s been put in place by Tim and everyone involved and putting my stamp on the club’s pursuit of success for the next couple of years” Scrivener said. Note: This appointment is for the Tuggeranong Vikings only. Any decisions on coaching or management positions with the Canberra Vikings in the NRC will be communicated when appropriate and later in 2018.